Getting faster each week, Tyler Seaboyer had everything come together for his first career Mini Stock feature victory on Saturday night. Daniel Montanari won the first heat ahead of Brad Townsend, Seaboyer, Doug Wilman, Cameron McGlashan, and Jason D’Antimo. Samantha Shaw won the second heat ahead of Dylan Holmes, Mike Robinson Jr., Ken Townsend, Eric Rainey, and Peter Wakeling. Montanari went for the daily double ahead of Seaboyer, Brad Townsend, McGlashan, and Wilman. Shaw went for the daily double ahead of Holmes, Ken Townsend, Wakeling, Rainey and Robinson Jr. Robinson went around for a spin by himself on the opening lap, before heading down pit road on Lap 5. Come feature time, Cameron McGlashan started pole ahead of Tyler Seaboyer, Doug Wilman, Dylan Holmes, Samantha Shaw, Brad Townsend, Daniel Montanari, Mike Robinson Jr., Jason D’Antimo, Eric Rainey, and Ken Townsend. McGlashan and Seaboyer would battle for the lead early, with Holmes, Shaw, and Wilman three-wide for third. Seaboyer grabbed the advantage on Lap 2, as McGlashan went three-wide with Holmes and Brad Townsend for second. Townsend got the spot on Lap 4 ahead of McGlashan, with Robinson Jr. getting alongside Holmes for fourth. Robinson was able to complete the pass easily, getting alongside McGlashan for third a lap later. Behind them, Shaw moved into fifth, as Montanari got alongside Holmes for sixth ahead of Wilman and Ken Townsend. Robinson Jr. was able to complete the pass on Lap 8, with Shaw looking to follow him through. Unfortunately, something broke on McGlashan’s car, taking him up to the turn one/two wall, as he took Shaw up with him. Both were able to avoid the wall, but the caution came out for McGlashan stopped on-track. The restart saw Seaboyer and Brad Townsend side-by-side for the lead ahead of Shaw and Holmes, as Robinson Jr. and Montanari ran side-by-side for fifth. Seaboyer got the top spot on Lap 12, as Shaw got alongside Townsend for second. Holmes ran fourth, with Montanari and Robinson Jr. still side-by-side for fifth. Montanari completed the pass on Lap 14, passing Holmes one lap later for fourth. Montanari’s climb continued as he’d take Townsend and Shaw three-wide for second at Lap 16. The move didn’t work in his favor, though, as Shaw took the spot two laps later, with Montanari side-by-side with Townsend ahead of Robinson Jr., Holmes, and Ken Townsend. Montanari would complete the pass on Lap 20 to take the third spot ahead of Brad Townsend, Robinson Jr., Holmes, Ken Townsend, and Wilman. Montanari would make the move once again on Shaw with three laps to go, completing the pass one lap later. He was then able to track down Seaboyer, getting to his inside through the final corner. The pair would battle door handle to door handle to the checkered, with Tyler Seaboyer edging Daniel Montanari for the win. 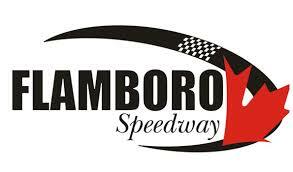 Samantha Shaw got third, followed by Brad Townsend, Justin Holmes, Ken Townsend, Doug Wilman, Eric Rainey, Jason D’Antimo, and Mike Robinson Jr. Robinson was running in the top-five until he had a mechanical failure coming to the white flag.